Hiring an experienced professional SEO agency will set you back thousands of pounds every single year. But it's a necessity if you a) have limited or no knowledge of search engine optimisation yourself and b) you want to rank highly in search engines like Google. So what can you do to save money if you have a set online marketing budget and time on your hands? We've listed 5 things that you can do yourself that will not only save you money but also support the work that a professional SEO agency will do for you. Creating regular (at least weekly) high quality blog or news content yourself (or within your organisation) is an absolute must. If you don't write your own content your SEO agency will do it for you (and charge you for it). Creating an 'editorial calendar' will help you to organise your time and identify any seasonal trends that you should be preparing for. Earlier this year we advised a household brand name on how to encourage and empower their 3,000+ employee's to create content for the brand. You can do it too. Here's 18 stats to help you write the perfect blog post but remember that a great blog/news article should sell without selling. 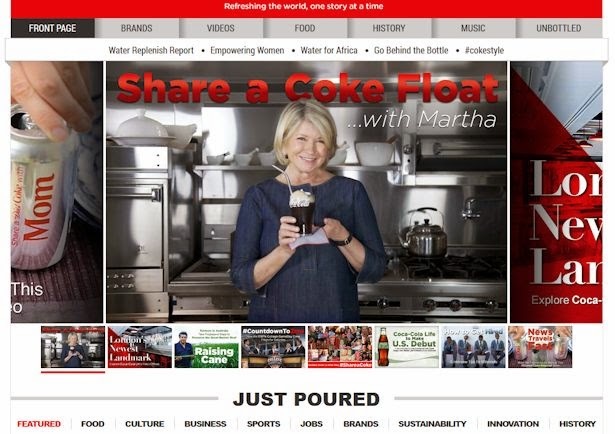 Coca-Cola are a great example of a brand that blogs well with a nice balance of different article types. Here's their blog. Mint.com blog also do this well with a mixture of articles and infographics. And the official Sharpie Markers blog is fun and innovative. Your social media platforms (Twitter, Google+, Facebook etc) should all be linked & setup from your blog to post automatically every-time a new blog article/news story is published. This will save you time manually publishing to each network. One of the factors Google looks for when determining how well a website should rank is 'social signals' (re-tweets, Facebook likes/shares, Google+'s etc). So make sure you provide your followers with information that adds value as this will encourage them to like and share your posts. And remember to be well mannered... thank people who have interacted with you. Encourage your customers to leave a review of your company and/or products. You can encourage company reviews to be left on your Google+ page as well as on external websites such TrustPilot and TripAdvisor etc (depending on your market). Product reviews should be encouraged within your e-commerce website as well as externally on websites such as reevoo and CNET. Use positive feedback as testimonials on your website homepage as this will help to lower the bounce rate (which is another thing Google looks at). Here's a recent blog post we did on 11 ways to encourage customers to leave a review. Amazon do a great job of this. One of the most difficult things e-commerce website owners face is making sure that their product descriptions are well written, informative and unique. This is especially true if the very same product with the manufacturers description is being sold online elsewhere (DVD's for example). Google doesn't like duplicate content so take the time to make your product descriptions different. Encouraging user generated reviews of your products (as mentioned in point 4) can help with this. Naked Wines - Great way to display content saving space and the use of user generated content to make the page unique. Firebox Chilli Chocolate - Quirky and well written content with a lovely tone. Mr & Mrs Smith Hotels - Very informative page with information about the hotel, facilities and the surroundings. If you've enjoyed reading this post why not share it?